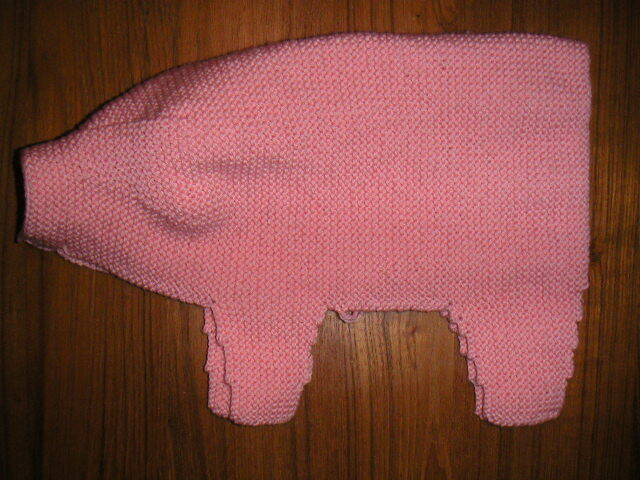 I finished the upper body of the stuffed pig last night. It's a little smaller than I thought it would be, but after looking at it, I don't think I'd want it to be much bigger. I cast on for the underside and hope to get that completed sometime during the weekend. I hope it will be cute! I hadn't yet decided on my next knitting project, but I'd been eyeing this sweater, the Best Friend Cardigan, from Wenlan Chia. The pattern appeared in her first book Twinkle's Big City Knits, however, I got it for free here, via bits & bobbins. The only down side to making this sweater was the cost of any super chunky yarn. Granted, I only needed five skeins, but that would be at least $75. 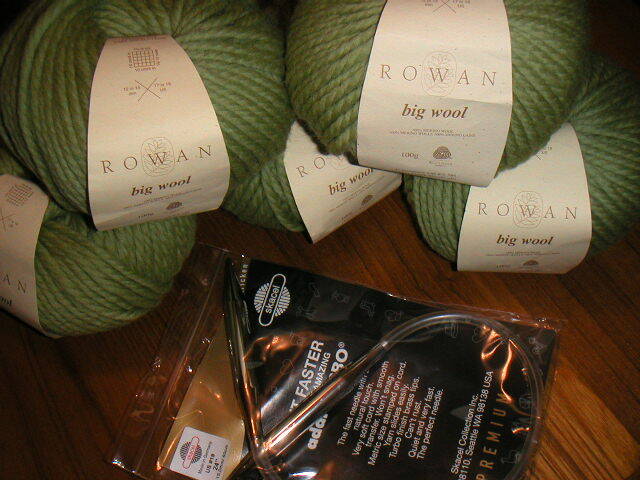 But after receiving an email from a LYS that was having a sale on Rowan Big Wool, I took that as a sign and bought five skeins in a color called Zing. This project should knit up pretty quickly considering it's knit up on size 19 needles! I always wanted to make that cardigan too, but I could never tell how it would look on me. I'm sure when I see you modeling yours, I'll want one too! Can't wait to see it!